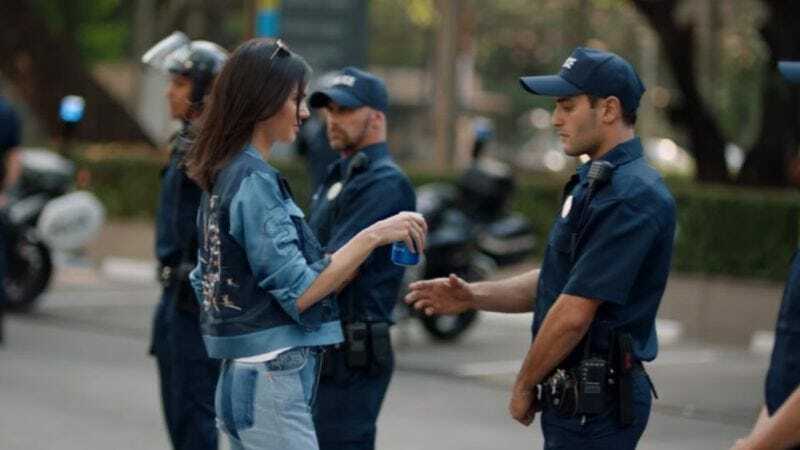 More than a week ago, the most important thing in the world was that controversial Pepsi ad that co-oped Black Lives Matter and featured Kendall Jenner eradicating the specter of police violence with a refreshing can of soda pop. Even though we’ve all pretty much moved on to bigger and better controversies, though, Alec Baldwin has decided that it’s time for him to weigh in. Essentially, Baldwin’s take on the whole thing is that it’s wrong for people to be pinning any of the blame on Kendall Jenner, who he says is “very young” and “inexperienced.” Instead, he thinks people should be blaming “her management” and the “awful business” she’s in. Baldwin said all of this on Twitter, throwing in a mention that his daughter and Jenner apparently went to school together. Also, as Vulture notes, Jenner herself has barely been spotted in public since the ad came out, suggesting that she’s trying to lay low until all of this blows over. Assuming we’ve all presented our own hot takes on the Pepsi ad at this point, that should happen any day now.